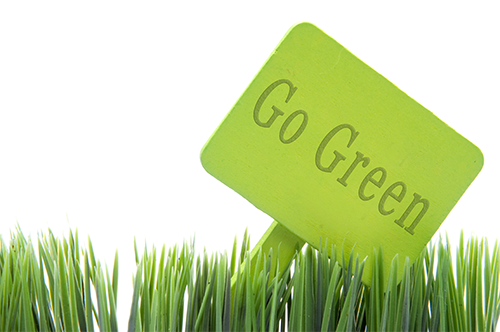 Insulation Is Greener Than Trees! According to an article in the NIA’s (National Insulation Association’s) “Insulation Outlook®” magazine, an average tree absorbs 50 lbs. of CO 2 per year which is equivalent to about 305 BTU/yr. when using heating oil as a fuel source. Even so, a small industrial tank 30ft diameter X 20ft tall, subject to a mere 10-degree F temperature difference and insulated with 1inch of R6 polyisocyanurate insulation will save 388 BTU/yr. For a 20-degree F difference, the insulation saves 776 BTU/yr. More than twice the greenness of a tree! Of all the technology at our disposal, insulation is the most cost-effective tool we have for saving energy and reducing our carbon impact on the environment. Few energy related technologies can come close to the rapid R.O.I. offered by insulation. 1. Outstanding Service - We firmly believe that every business must match its outstanding product quality with outstanding customer service. 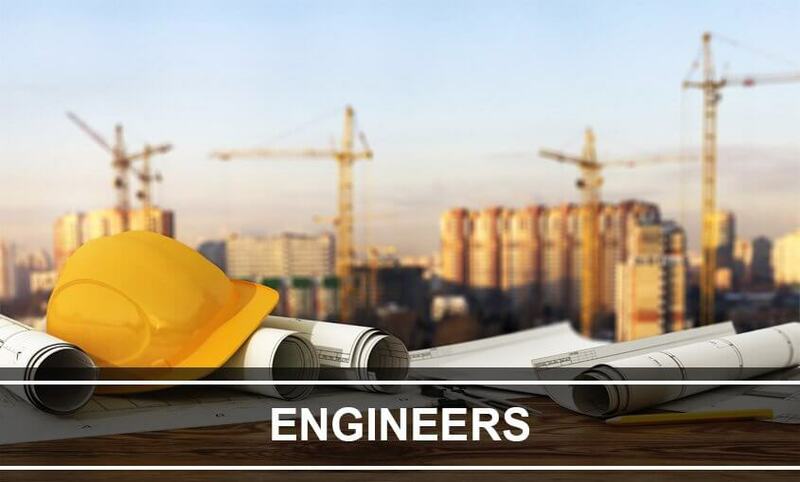 To that end, every one of our team members is trained to be knowledgeable, friendly, and responsible. We take care of the client, rather than merely selling the system. 2. Outstanding Price - We have priced our RIDGLOK ® Panel Insulation System to meet the needs of all of our customers without sacrificing the quality of the product. 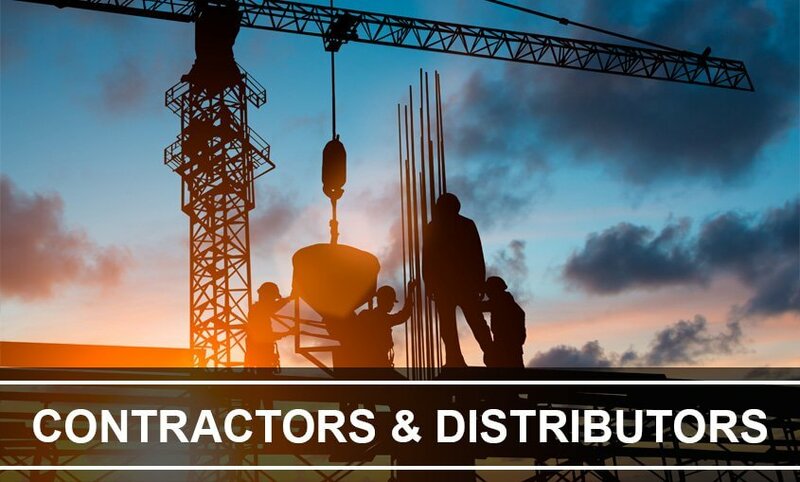 We want to make certain our customers made the right choice with purchasing the RIDGLOK ® Panel Insulation System without worrying about their budget. To the veterans – past, present, and future—who keep our nation free so all may prosper—We thank you! To the hard-working people who stoke the engine of opportunity for us all—We thank you! To every American who loves this land and supports freedom and dignity—We thank you! And to the companies (including our competitors) who provide jobs and raise the bar of quality—We thank you! 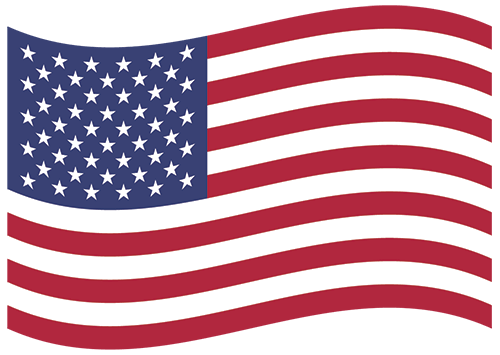 MC&I is proud that our products are MADE in AMERICA by AMERICANS. As a certified NIA (National Insulation Association) Energy Appraiser, MC&I can evaluate the energy savings you’ll realize by insulating your tank. NIA is a non-for- profit trade association. It’s the voice of the insulation industry keeping commercial and industrial businesses apprised of latest trends and technologies. 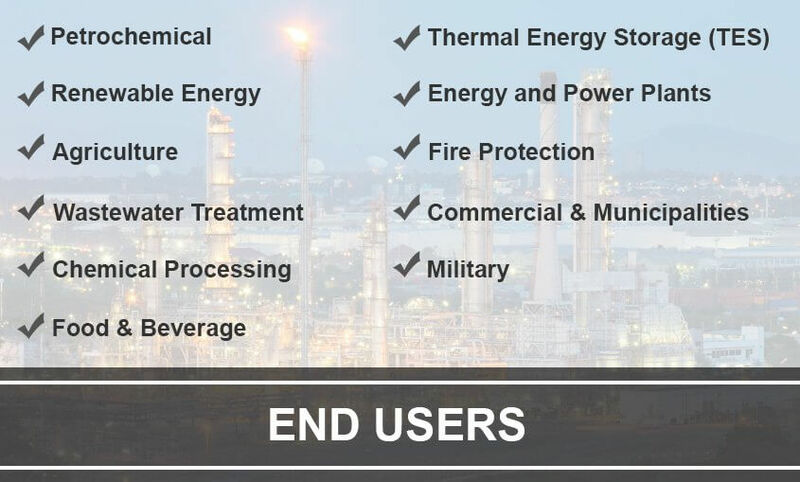 Using the 3E Plus® Industrial Energy Appraisal computer program, we can help you visualize the costs, savings, and R.O.I. that properly designed, manufactured, and installed insulation offers. 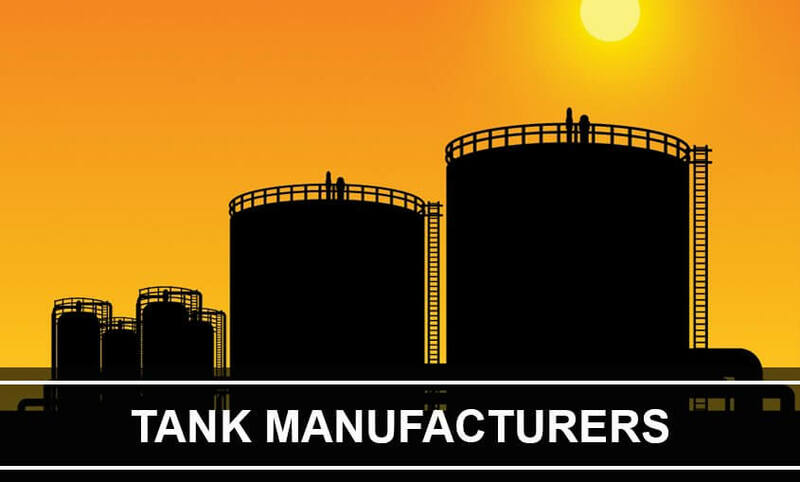 Learn how insulating your storage tank will pay back the investment. 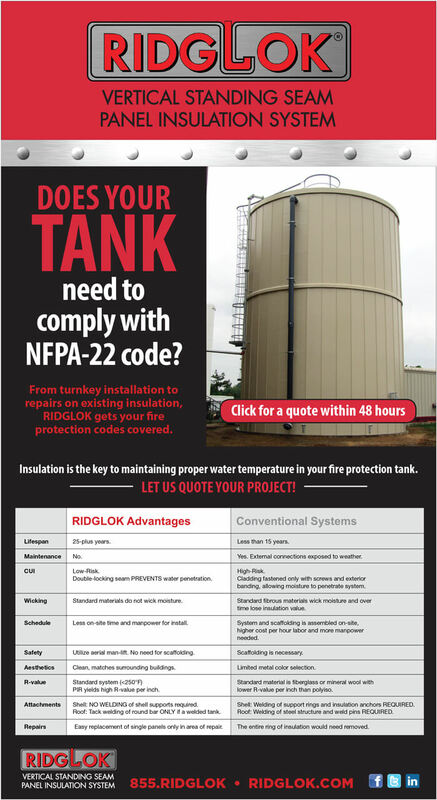 RIDGLOK Systems Are NFPA Compliant.